This is Alex, the proud owner of one of Sandstorm’s custom Kukri knives. It was a present from his girlfriend, Amber, who contacted us after finding our website online. Scott talked with her at length about the design and they spent a lot of time going back and forth getting it just right – a lot of emails and phone conversations were had. And in the end it was all worth it: her boyfriend was blown away by the gift!! We even had it engraved with a personalized message on it. He was so happy. 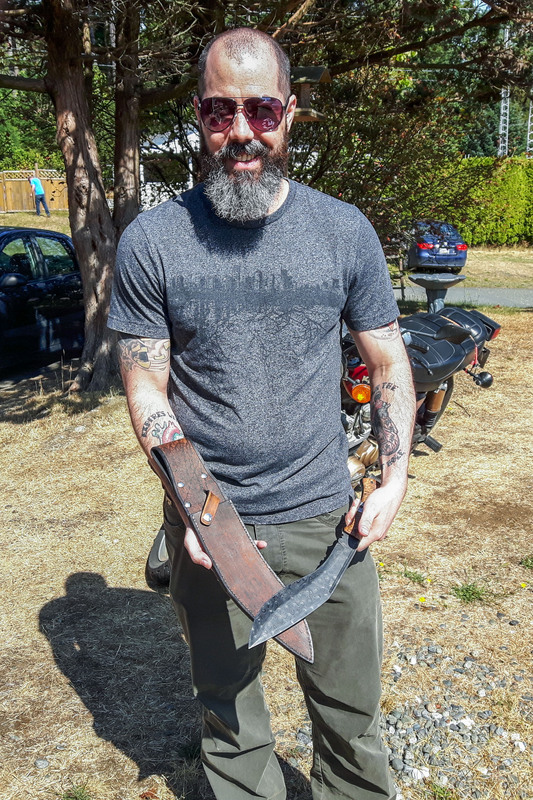 Happy customer Alex and his brand new Sandstorm Custom Kukri knife. 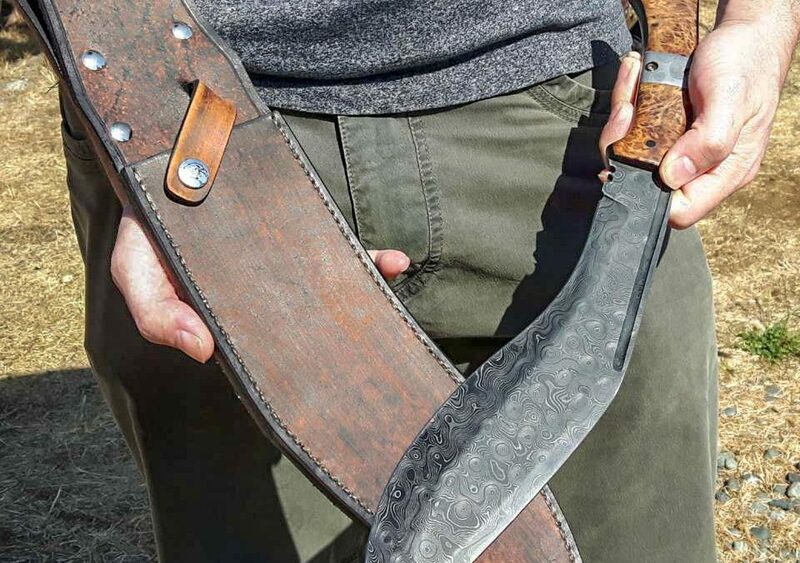 This Kukri’s steel is made from Alabama High Carbon Buckshot Damascus that has been etched. It has an 11” blade with Presentation Grade Yellow Cedar Burl and a High Carbon Damascus centre piece inlay. The handle was fastened with 4 x 3/16” Black Canvas Micarta pins and the Damascus centre piece was fastened with 2 heat treated screws. The sheath is 9/10 ounce top quality leather. It has a wasp waist belt look and was done in a Terra Cotta design exclusive to Sandstorm Custom Knives. In other words? It is one badass knife. Want to make someone in your life as happy as this guy? Contact Sandstorm’s custom knife-maker, Scott, to discuss how we can make the knife you’ve been dreaming about.